Cindis World: Which FREE SAMPLE of new Pantene will you choose? 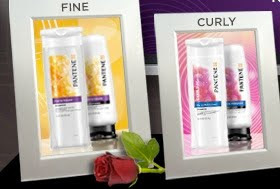 Which FREE SAMPLE of new Pantene will you choose? With new customized solutions for your unique hair type, it’s easy to find a Mr. Right for your hair. Get your free sample and get the style you’ve been searching for.